PLEASE NOTE: We provide these pages in the hope that they will help you to get the IELTS test band you need. The tips, techniques and skills presented here are not going to take you from a Band 2 to a Band 9, of course! For large gains, there is no alternative to hours of careful study and hours of practice. 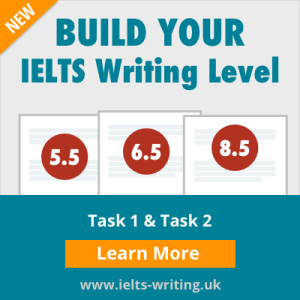 However, the suggestions can help you to make small improvements here and there and possibly improve your score by 0.5, 1.0 or very occasionally 1.5 points and that can make all the difference in the world - the difference between your IELTS success or failure. We wish the best of luck with your IELTS test.